Before all else, a manicure lover dreams of her fashion statement. Is yours the French manicure? Depending on who you ask, this pale pink polish with a white tip is either classic or old-fashioned. If you love the look, you'll be happy to know that it makes nails look longer. And pale shades are just right for serious moments, like a job interview. 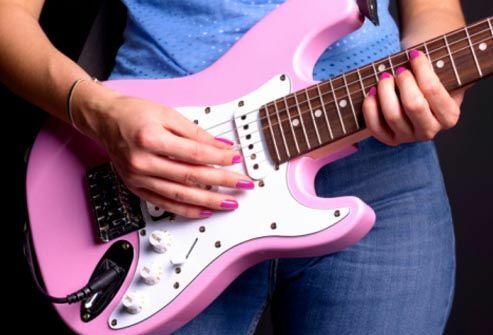 Maybe your crazy hobbies wreck your nails. A gel or shellac manicure may give you two to three weeks of shiny, chip-free nails. Both types require several layers of polish that need curing under a special lamp. And you probably need to pay a pro to remove these tough polishes. But fuss-free nails may be worth the price. Will cherry red polish make you look vampire-pale or sizzling hot? The answer is in your skin tone. For skin with blue undertones, choose pinkish nudes, deep violet, fuchsia, or that cherry red. For olive or yellow undertones, pick beige or white nudes, chocolates, and corals. Test new shades on a piece of clear tape stuck to a nail. Should your nails be short and square or long and pointy? You can play it safe with an oval shape, which flatters most hands. If you want to soften your look, try a round shape. Square nails look best on long fingers. A "squoval" looks like a square, but has rounded corners. A point is more daring and makes your fingers seem longer. 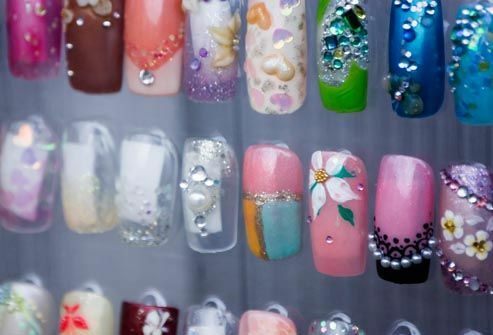 Shimmery or pearly nail polishes may last longer than matte ones. And a neutral color -- pale pink or a pretty cream -- makes nicks and dents less obvious. To touch up your nails at home, use an extra layer of top coat (instead of any old clear nail polish). Two thin coats are less likely to chip than one thick layer. Blue, green, yellow and other bold colors are ever more popular. 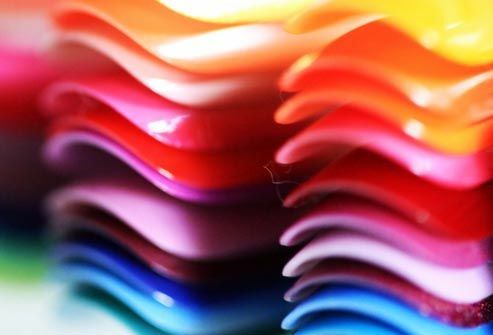 Keep these fun fashion statements neat and freshly polished, so your bold color is the main attraction. You also may want a fresh manicure a little sooner than with a quiet color. 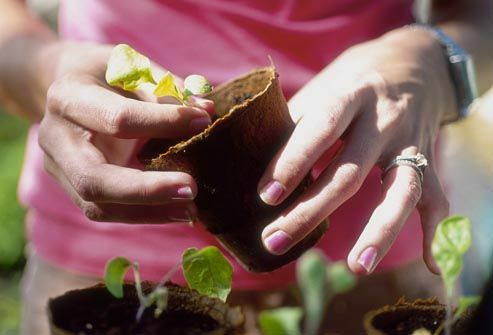 It's easier to see where your nails have grown, revealing their natural color at the base. Nail extensions can hide weak, damaged, or broken fingernails. But you have to go to the salon often to keep them looking good. And they may damage your real nails even more. 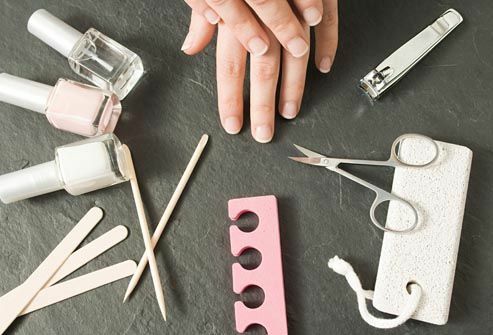 Wet, loose, or chipped acrylic nails can trap moisture and give you an infection. 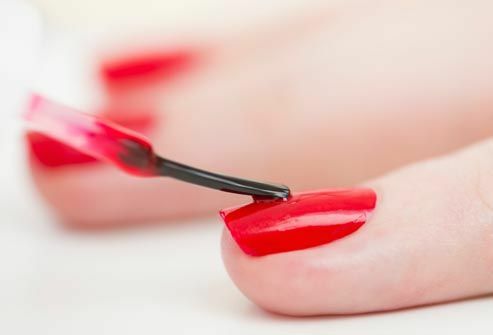 Go completely fake-free once in a while to keep your nails healthy. When plain colors are simply too plain, tiny stick-on jewels and painted designs can jazz up your look. Some newer trends: crackle finishes (like old paint), colored tips, and dragging magnets through wet metallic polish for squiggly designs. A "moon manicure" has a pale semicircle at the nail base and the rest is polished in another color. A manicure shouldn't put you at risk for wrinkles and skin cancer. And some doctors worry that putting your hands under a UV nail lamp frequently could do just that. It uses the same UV rays from the sun or a tanning bed. So rub a broad-spectrum sunscreen on your hands. And ask about fans or letting your nails dry naturally. Prevent that "Oops!" moment. Before your manicure, get your wallet and car keys handy. No digging into your purse with wet nail polish! In winter, keep your coat on during a manicure to avoid smudging polish on your sleeves later. You also can ask for a protective oil on your finished nails. It lessens the chance of smudges. A smudge or chip after you've left the salon is maddening. Not to worry. Dab a little acetone nail polish remover on the trouble spot and smooth it. When it's dry, fill in the area with matching polish. Follow this with a new coat of polish on the whole nail and a clear top coat. Allow 10 minutes to dry. 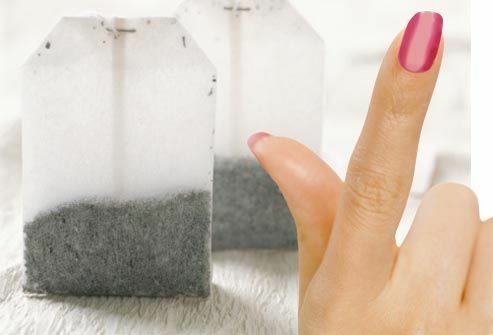 Cut paper strips from a tea bag to give a split or cracked nail extra support while it grows out. Apply a base coat to a clean, dry nail, wet the strips with the same polish, and wrap them around the nail. 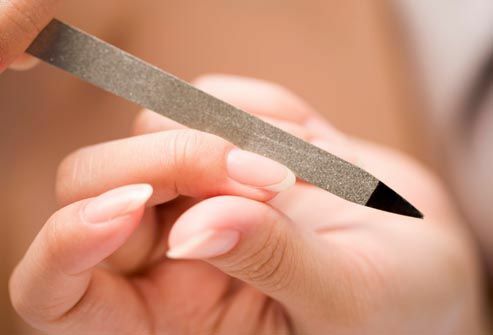 Smooth your work with a manicure stick and seal with another layer of polish. For severe nail cracks, see your doctor. Chores are brutal on manicures, so become BFFs with gloves. Get a few pairs to wear when hand-washing dishes, gardening, and painting. Scrape price tag stickers off with a spoon instead of your nails, and buy a soda can opener. Switch from bar soap to a gentle hand wash to prevent drying. And put lotion on your hands to keep your cuticles soft. You probably know that the salon's tools should be clean and disinfected between clients. You can also bring your own equipment. 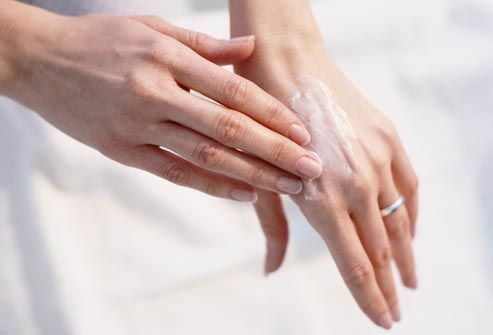 If you feel any itching or burning after the manicurist uses a product, say something right away. 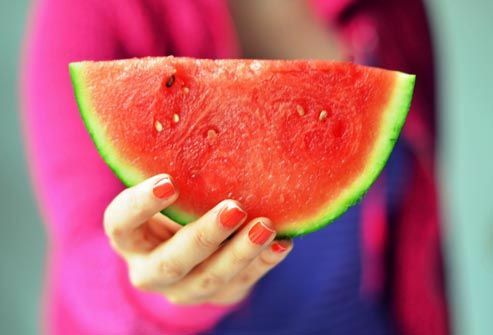 And if your nails or fingers become red, sore, or ooze pus after a manicure, see your doctor. It could be an infection. There's no magic age when it becomes OK for little girls to have a manicure. It's usually up to the parents to decide when. Most nail services are safe, as long as the salon cleans equipment properly. Some spas and salons even specialize in serving girls and teenagers. And a mani before the big dance can be a fun mother-daughter event. MacFarlane, D. C. Archives of Dermatology, April 2009.